Now, we can’t forget what we have been the best at for almost 30 years ~ HOT TUBS! Crown Spas & Pools is the only custom hot tub builder in Winnipeg. With over 100 years of combined experience, you can trust us to construct the hot tub of your dreams. Let’s work together to design your own custom hot tub—whether you want the design to flow with your yard or have specific hydrotherapy needs. 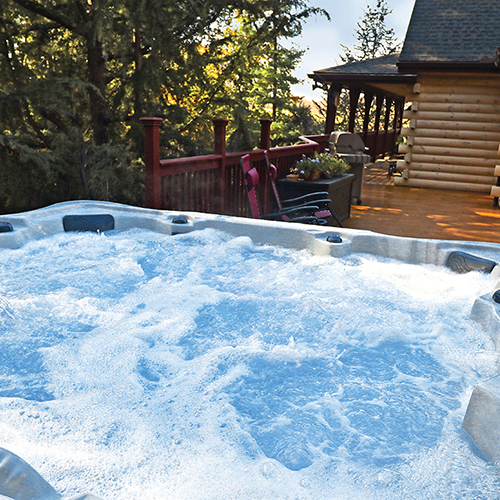 If a custom hot tub isn’t what you are searching for, we have the largest display of manufactured hot tubs in Winnipeg. 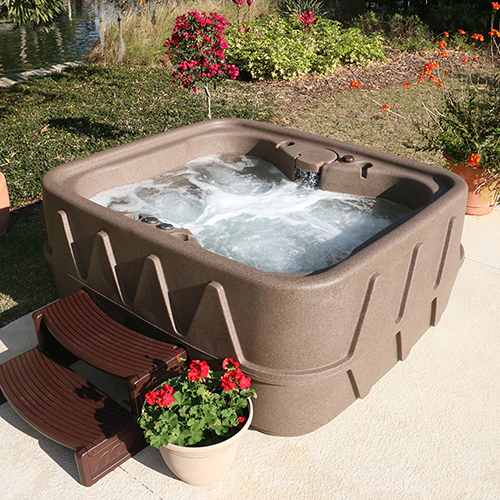 Our selection offers a full line of hot tubs from top brands like: American Whirlpool, Vita Spas, and Sunrise Spas. Want something simpler? We also offer plug and play options from AquaRest Spas and Dream Maker Spas. Top off your hot tub with a Canadian made Covana Hot Tub Cover! With the simple turn of a key, you can enjoy an automated solution with a Covana hot tub cover. 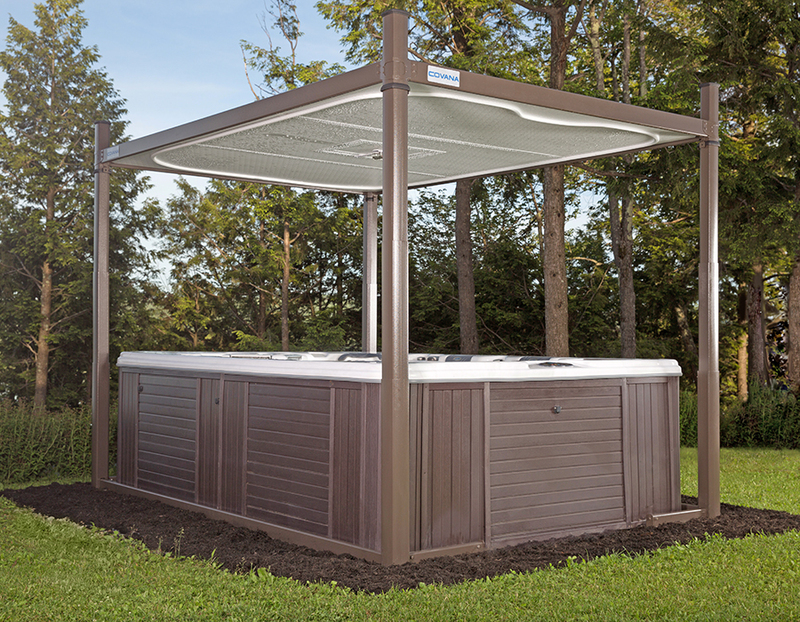 Made in Canada, the Covana hot tub cover uses the latest, state-of-the-art materials that ensure they can endure the most rigorous climates! You are invited to our showroom at 760 Century Street to view the hot tubs and see the Covana Hot Tub cover in action. Join us for a coffee and have our friendly and knowledgeable staff guide you through the store in a courteous, no pressure atmosphere.